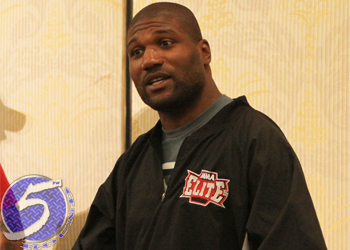 If Quinton “Rampage” Jackson (Pictured) wants to get fired for insubordination, then he’s certainly saying all the right things. Unfortunately for the former UFC light heavyweight champ, he’s still far too marketable for the planet’s premier mixed martial arts promotion to part with – despite his continued verbal assault on the UFC. “I’ve been upset with the UFC and the opponents they’ve been giving me. I think [UFC matchmaker] Joe Silva needs to be slapped in the face,” Rampage told HDNet’s Inside MMA. “I’m sorry, [but] you’ve got a fighter like me who likes to go out there and fight fights, so why do you keep giving me wrestlers who are going to take me down and hump me? The 33-year-old has one final bout remaining on his current UFC contract, but he would prefer to never set foot inside the Octagon ever again. The veteran claims to have fought injured with no appreciation from the organization too many times and is prepared to take his talents elsewhere. “I don’t want to fight for the UFC no more,” he stated. “The fans think that the UFC is the only show in town and everything, but I don’t care about money. I got money saved up. I got money that I’m making in other places. If you think I made all my money in the UFC, you wrong. I got sponsors that help me out. Rampage posted on his Twitter account that UFC president Dana White wouldn’t try to retain his services after his next outing. However, Rampage is clearly trying to do everything within his power to be released ASAP.